The Securities Appellate Tribunal (SAT) on Thursday asked realty giant DLF to submit an affidavit to the tribunal and market regulator Sebi detailing its immediate fund requirements and their end-use to secure an interim relief to access money stuck in mutual funds. Hearing a DLF petition challenging the three-year ban that Sebi had slapped on it on October 14, a full-bench of SAT asked the company to submit the affidavit by November 3. It will give an interim order on November 5. The SAT also asked DLF to specifically mention the time- frame, the requirement, the end-use of the fund and till what time it needs the interim relief, to which the company said, till December 31. Sebi has barred DLF and six others, including the company's top executives, from accessing capital market for three years for "active and deliberate suppression" of material information at the time of its IPO over seven years ago. The SAT also asked Sebi to file its reply to the DLF petition by November 30 and directed the petitioner to submit its rejoinder by December 8 and posted the matter for final hearing on December 10. 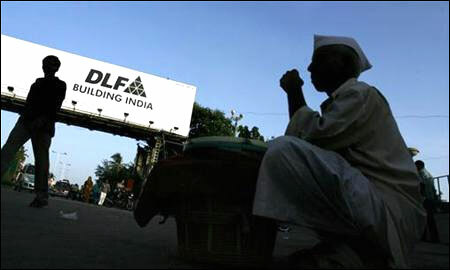 DLF counsel Janakdwaraka Das pleaded with the tribunal that since the Sebi order has not asked the company to shut shop or superseded its board, it was in the interest of all that the company is allowed to access the badly needed funds to pay its vendors and employees and meet other day-to-day needs of running an organisation. Sebi did not oppose an interim relief but objected to the DLF plea for an immediate open-ended interim relief, saying it could allow some relief provided DLF submits an affidavit entailing the need for funds by redeeming the mutual funds and and ensure some security to the Sebi that its order stands till the final disposal of the case. The SAT asked Sebi as to what it was doing all these seven years and why it did not object to the revised IPO documents. Sebi counsel Afiq A Dada said the regulator was waiting for the Delhi High Court to pronounce its order on the petition filed by one K M Sinha, who is not an investor in DLF who invested Rs 34 crore in one of the 353 DFL subsidiaries, which led to the regulatory action. Dada said that it was the duty of the IPO filing company to not hide anything as it had happened in the present case and that it was not his client's job to find out each and every details in an IPO document at the filing stage or clearing stage. The DLF counsel did not disclose how much money is stuck in mutual funds.